I admit to cheating a bit on this. Large parts of this post are recycled from two on my sadly neglected blog. I resort to such tricks because relocating to Switzerland is eating up a great deal of my time lately, and because I had long intended to update both posts anyway. Thanks for your indulgence. How do you raise a Janeite? 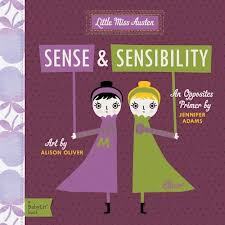 Read Austen to your children, of course! I actually did try to read Pride & Prejudice to my daughter, Eliza, when she was 6 months old, but it didn’t quite hold her attention. It was about that time I was so fortunate as to be given a review copy of Pride & Prejudice: A Counting Primer by Jennifer Adams (you can read my review at another well-known blog). Here was a way for me to at least introduce the characters and themes of Pride & Prejudice. Eliza seemed to like it, but I admit it was not a favorite book during her infancy (I’ll get back to Good Night Moon in a moment). Yet even early on she enjoyed pointing to the pictures and counting the images, and lately (she is now almost four) she has been taking it to school and reciting it from memory to her friends. The fact that it has maintained a fairly constant place in our regular rotation is pretty telling in and of itself. I think I can definitely count this as score one for the Janeite Mama! a pretty box that can be used as a ballroom for the figures when open. The set includes a copy of the board book and six “sheets” of play figures and sets. The pieces pop out of the sheets, sort of like a perforated paper dolls but made of a very sturdy board. Even at age two, Eliza could pop them all out without damaging them in the slightest (NOTE: it does come with an under 3/small parts/choking warning. Do supervise closely any children who might decide to eat the play set). She had so much fun being able to remove all the parts and set them up herself. These days she creates elaborate play scenarios amongst the various characters (marriage proposals abound). The pieces have held up great and are solid enough to pop back into their original places, like a puzzle, for easy storage (which means it’s small enough to come with us to Zurich – score two!). Last year all the buzz was about Goodnight Mr. Darcy by Kate Coombs, so of course I had to buy a copy. As previously intimated, Goodnight Moon, which this book parodies, was a favorite during Eliza’s infancy. 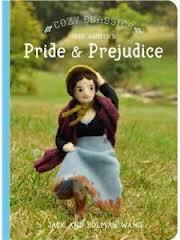 Sadly, even with the name Mr. Darcy in the title, she still doesn’t have a whole lot of interest in this book. I think the problem might be that she considers herself just a bit too mature for it at the ripe old age of almost four, but I enjoy it even without her participation. I have a notion the book will have increased appeal as she continues to grow. Though cloaked in the imagery of her youth, this story is actually a great deal more complex than the others mentioned thus far. It even almost incorporates a complete plot line. Future prospects being notoriously fickle, there will be no point awarded this round. So there you have it: a complete overview of my arsenal of Austen for children. This is my first line of attack in raising a Janeite, and so far things are going pretty well. Four out of five seems respectable, and even as I write this, my daughter and husband are watching Pride & Prejudice without me downstairs. Now how do I convince Eliza to pretend she is Elizabeth instead of Lydia? A note to my fellow Austen Authors: Don’t you think there should be more Austen-based picture books on the market? I know some of you can draw. Just saying. Ha, I love this! Not just useful for children, either. I think I’ll use it to trick some of my stubborn adult friends into getting on the Austen bandwagon. I bought all five books for my granddaughter who is 2 1/2 years old. I am hoping we have a Janeite in the making. I have a paperdoll book but she isn’t old enough for that yet. And I have the board game http://www.marryingmrdarcy.com/ for older personages. I do not have the Cassandra book nor the book and play set. Time only will tell. I didn’t know about all of these! My daughter’s birthday is on Tuesday and I still have time to shop! 😀 Thanks for sharing! What an informative article, Alexa. Not having small children (or grandchildren yet!) I had no idea that all of this is available. 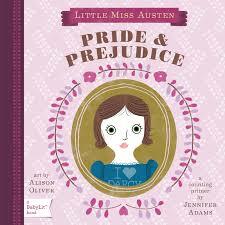 Dare I say that I would love to have the Little Miss Austen Play Set and the Cozy Classic P&P just for me. And, should some grandchildren come along, all the better. Wonderful post, Alexa! I wish all of these had been available when my kids were little. When yours are older I can recommend the graphic novel versions of P&P, Northanger Abbey, Emma, and S&S. My son has read them all and loves them — Particularly the different P&P versions. It was a great introduction to Austen for him. Thank you for the overview Alexa. It is an excellent synopsis of available kid lit.